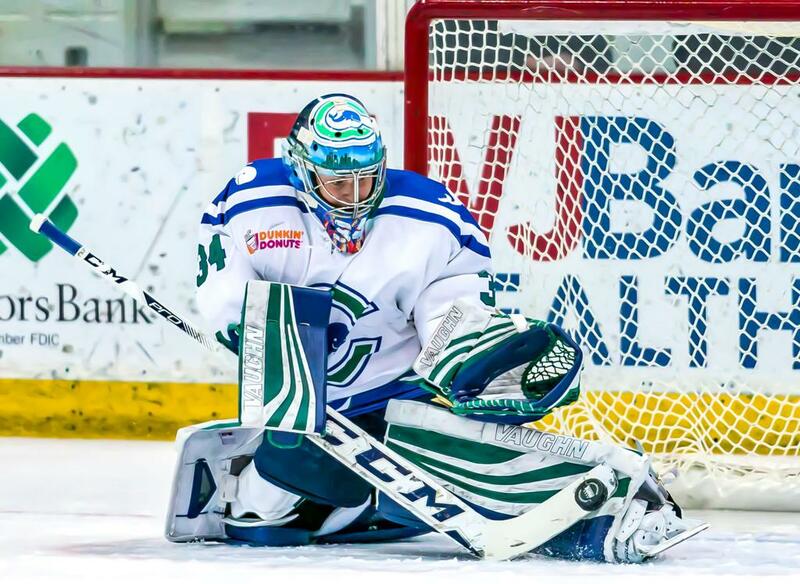 August 20, 2018– Sydney Rossman, who has spent the last five years in Connecticut as one of the top goaltenders in the ECAC while at Quinnipiac and as an all-star in her rookie NWHL season with the Whale, is returning home to Minnesota. The Minnetonka-raised Rossman has signed a contract to play the 2018-19 season with the NWHL’s Minnesota Whitecaps. Last season, Rossman played in all 16 regular season games for the Whale and was outstanding throughout, with a 3.14 GAA and .885 save percentage. For her efforts, she was selected to play for Team Ott in the 2018 NWHL All-Star Game in Saint Paul. Rossman won three Minnesota State High School Championships with Minnetonka High School. A fan of the Minnesota Wild, who recently announced an alignment with the Whitecaps, Rossman is excited to come home and grateful for her time with the Whale in her rookie NWHL season. ©2019 Minnesota Whitecaps / SportsEngine. All Rights Reserved.